Where and how can I download the BInfinite Mobile app? Step 2 : Sign Up for an account for 1st time app user. Step 4: You will be receiving an email to verify your email address. Please click on the link provided in the email to verify. You can only sign in after your account has been verified. Step 6: You may view your BCards at the &apos;Cards&apos; tab. Note: Each account can add up to max 5 BCards and each BCard can only be tied to one B Infinite account (ie, email address) created via the App. You can set your default card to check BPoints instantly. BPoints accumulated for each BCard are not combined and not transferable). The barcode of the BCard can be displayed by selecting the top right icon. What are the functions of the B Infinite Mobile App? The App keep you updated on your points balance and to get exciting and exclusive offers on the go. Collect BPoints simply by scanning your app when you make a purchase at a participating outlet. Redeem your BPoints by selecting featured deals on the app or by using them on the spot, as an alternative to cash, at B Infinite participating outlets. LINK CARDS: Scan and link your physical BCards (e.g. Journey Card, Tealive Card) to the B Infinite app, so you can store multiple cards virtually. Now you have the option to collect and redeem BPoints either with your physical cards or straight from the app! CHECK: Check your BPoints balance to see how much cash you can redeem-anytime, anywhere. PROMOTIONS & DEALS: B Infinite users enjoy great deals and promotions from our partners. Browse current promos and get the best deals out of your shopping and dining experiences. FIND MERCHANTS: Browse through our list of 130 partners and get details of their products and services. Open the partner map to view all the B Infinite participating outlets near you, from where you can collect and redeem BPoints. REDEEM: Browse through the redemption catalog to exchange your BPoints for products and services. You can also redeem your BPoints on-the-spot at B Infinite participating outlets. SCAN & COLLECT: To collect points, scan the barcode on your app at the cashier when you make a purchase or redemption at one of the 4,000+ B Infinite participating outlets. I hit an error while creating my own password for my B Infinite Mobile App login, what happened? Why can&apos;t I login to my B Infinite Mobile App? 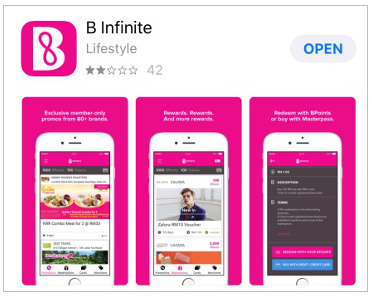 Please click Sign Up if you are first time user of the B Infinite Mobile App as login credentials via website is not the same with B Infinite Mobile App, for B Infinite Mobile App you will require to sign up first. Why I&apos;m still unable to log in into my B Infinite Mobile App after signed up? You are required to verify your account after successful signed up. Otherwise, mobile app will not allow you to log in if your account is yet to be verified. I&apos;ve verified my account / email via the link provided in the email but why am I still not able to log in? Please screenshot the error message and email us at enquiry@binfinite.com.my for further assistance. 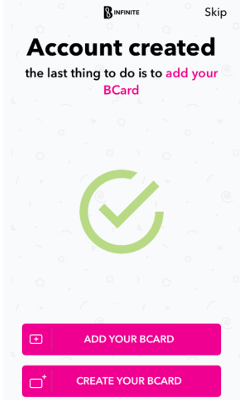 I&apos;m trying to add my BCard into B Infinite Mobile App but an error message prompted &apos;BCard already added&apos;, what happened? This indicates that the BCard you are trying to add is already added into another B infinite Mobile App account (ie, other email address). Do note that a BCard can only add to 1 B Infinite Mobile App account at any one time. 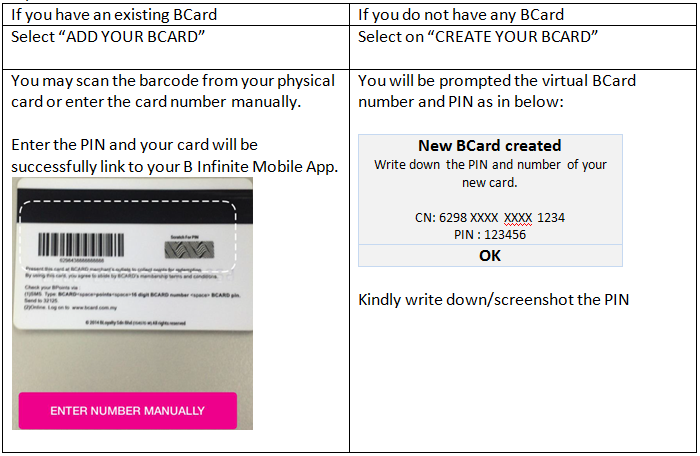 If you wish to add the BCard into another B Infinite Mobile App account, you will need to delete the BCard from the current B Infinite Mobile App account. 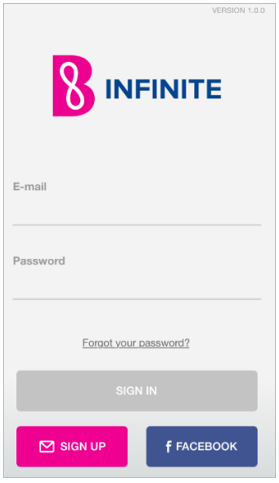 I can&apos;t remember my BCard is added to which B Infinite Mobile App account, what do I need to do? You can email us your BCard details at enquiry@binfinite.com.my for further assistance.